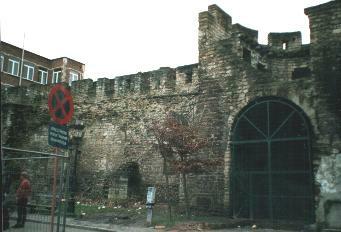 One of the remains of the first city wall of Brussels, built in the 13th century. This wall was within 100 years replaced by a second city wall because of the fast expansion of the city. There are no remains of the second city wall.